Construction delays, while not inevitable, are not totally uncommon. 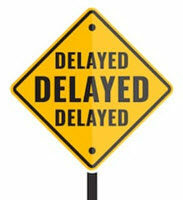 Weather issues, for example, can cause many construction projects to be delayed for an unspecified period of time. Unfortunately, whatever the cause of the delay, since work must be stopped, there is a cost – not just financial, but also in the fact that the contractor must reschedule and re-coordinate the subcontractors for this particular project, but possibly projects in the future. In some cases, contractors may be able to receive compensation for these delays, if it can be proven that the delay was caused by another individual or entity, and engaging the services of an experienced Florida construction delay attorney can help to ensure that the contractor receives the maximum amount of compensation. Another issue that can arise is when, during a construction contract dispute, there are competing claims of delays, referred to as concurrent delays. An example of competing claims of delay in a Minnesota public works project illustrates the complex nature of these claims. A discussion of concurrent delays, and what a contractor can do to protect against a claim or counterclaim of a concurrent delay, will follow below. Within almost every construction contract, there will be a date specified by which completion of the works is to be achieved. A contractor who fails to achieve this date may be liable for damages. Completion delays are any event that slows down the project, and liability is dependent upon who caused the delay – the property owner or the contractor. Concurrent delay refers to a situation where a delay to completion is caused by two or more events. Where all of the causative events are the responsibility of one party, this person or entity is usually liable. Where, however, the delaying events are caused by different parties, disputes can and often do arise. Concurrent delays have become a standard tactic among property owners to avoid being billed for extended overhead, change orders, and similar claims affecting project completion date. However, contractors can use concurrent delays to prevent being penalized by liquidated damages and to recover extra costs associated with the problems or delays. To this end, a concurrent delay argument will need the backup of a good current construction schedule which demonstrates how the contractor was affected by decisions by the property owner or by a delay in supplied equipment. Submission and request of a formal response from the property owner related delays and other schedule issues. Contractors should also educate their employees about the construction contract, and establish and enforce a procedure to submit change orders and claims. It is also important to have all decisions and instructions from the property owner in writing. But most important of all, to avoid any claim of unclean hands, the contractor must ensure that it has met all construction contract deadlines, and has submitted all notices within the acceptable time frame according to, and in the same manner as, the requirements set forth in the construction contract and related documents. If you are involved in a delay to your construction project, and you are curious about your options and your responsibilities, contact an attorney experienced in construction law as soon as possible. The attorneys at Linkhorst & Hockin, P.A. have years of experience dealing with construction contract disputes, including sorting out multiple concurrent delays. We will review the circumstances of your case, and, if we believe you have a claim for compensation, will help you plan the most effective strategy to win your case. Contact our Jupiter office today.